Michael Wilford Heffernan obituary. Carnes Funeral Home. Jan 15, 2018 So so sorry we loved Mikey just found this out. Many years cruising with him and Brenda good memories loved both. Michael was a good kind man. Galveston, Texas -Michael Wilford Heffernan, 75, died Sunday, November 1, 2015 at his home, surrounded by family. He had a strong will and spirit but eventually succumbed to cancer. He is survived by wife of 55 years, Brenda Baker Heffernan, and three daughters, Lisa Matula, Heather Heffernan, and Cary Forrester. He has two brothers, Patrick Heffernan and Timothy Heffernan, and one sister, Kelly Stevenson, three grandchildren, numerous nephews, a niece, and cousins. 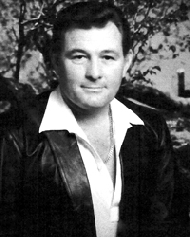 Michael Heffernan was born in Compton, California in 1940 and was the first son of Mary Anita Heffernan and Wilford Patrick Heffernan. The family returned to Texas when Michael was a young child. He grew up in Angleton, TX and graduated from Angleton High school in 1959. He excelled in Golden Gloves Boxing, football and was asked to the Sadie Hawkins dance by his future wife. He followed his father and grandfather’s footsteps becoming a journeyman pipefitter and specialty welder. He spent much of his early career working in Brazoria County but in 1981 he had the opportunity to work overseas. He became maintenance supervisor for offshore drilling in the United Arab Emirates. Michael had many wide and varied interests. With his family, he enjoyed camping and traveling across the United States. He later extended his love of travel by exploring almost thirty different countries. During his retirement years, he fulfilled a lifelong dream of living and traveling aboard a 42 boat. Accompanied by his wife, he embraced new adventures boating to the Bahamas, up the eastern seaboard and inland waterways. He was an avid reader and hobbyist wood worker. All animals recognized his kind and gentle spirit making him a magnet for stray dogs, baby bunnies, rescue cats, and even a lost parrot.